As various print magazines like Gourmet scramble to reinvent themselves as Ipad apps, we are happy to see that some people still believe a physical printed product can be quite nice. 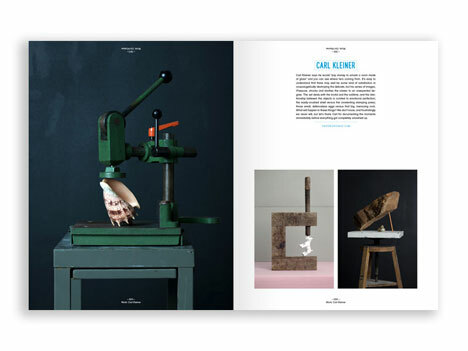 A staple in our daily blog roll of creative delights, It's Nice That, is going against the grain with the fourth issue of their bi-annually printed publication. The publication serves as an archive of the blog's best editorial content, as well as a venue for more in-depth stories, and this issue sounds juicy with features, tons of work, and interviews with Neville Brody, Miranda July and others. 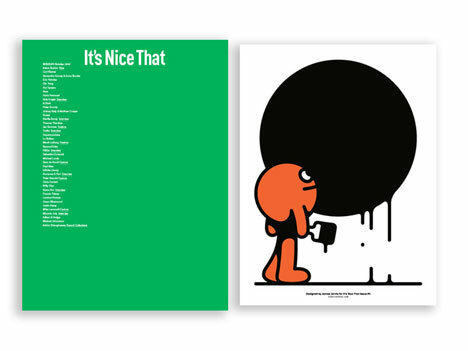 Issue #4 is now available for pre-order, with an incentive for those who appreciate cute illustrated blob-men and the lovely details in printed matter: a free screenprint by James Jarvis (two-color with spot UV gloss, unfolded at 185 x 245 mm). hi there - is it just me !! can any one explain why when i type in the firefox browser "www.core77.com" i get a different site yet whe i type it in google its ok? could this be a bug in my system or is any one else having same probs ?